Hollywood Road, running from Sheung Wan in the west, through Soho and northern fringes of Central in the east, was one of the first roads built in Hong Kong. Laid by royal marine engineers and given its famous name well before that other, better known Hollywood, the road has been one of the city’s main thoroughfares for more than a hundred years. It’s also been one of the city’s most important centers of commerce. It was here that Chinese traders first brought their wares from across the border to sell and swap with British and European traders. This commercial spirit continues to flourish on the road today through the dozens of independent antique traders that have called Hollywood Road home for decades. There is no better place in the world to find top quality Chinese antiques, from Ming vases to the jade pieces Hong Kong has become famous for. It’s fair to say that most of the dealers on Hollywood are reputable so it’s hard to pick the best shops -- ultimately it will very much depend on what you want to buy -- but here are two worth recommending. Qi Ling (52 Hollywood Road) Antiques has an international reputation for expertise in Chinese antiques, with a particular excellence in sourcing and certifying terracotta pieces. Down the road, KY Fine Art (142 Hollywood Road) is considered one of the most experienced dealers in the world of Chinese antiques, with particular expertise in ceramics and ink paintings. If you can’t find what you want, owner Ky Ng will usually be able to point you in the right direction. They have excellent contacts in China. 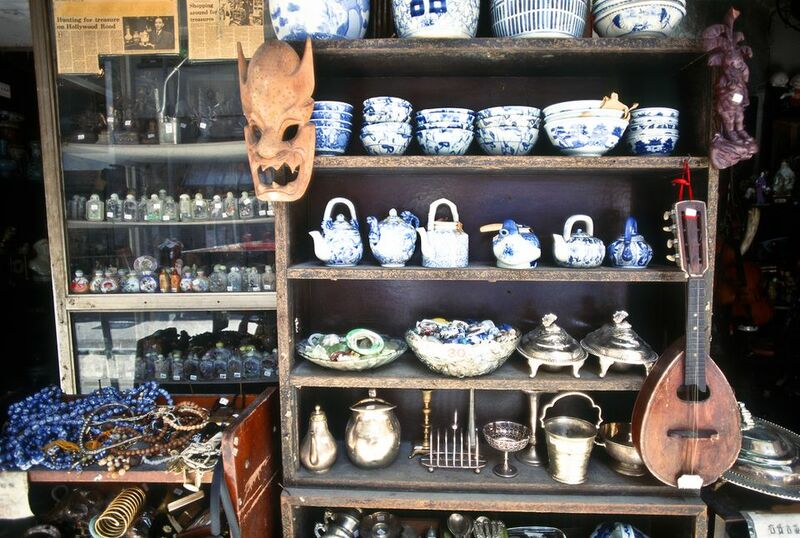 While most of the shops on the road feature serious antiques from the imperial past, the market on Cat Street is a more wheeler and dealer set up. The market stalls here peddle Mao portraits, posters advertising five-year plans and other Communist curios. Everything is cheap and often fake -- but it’s a great place to pick up a souvenir or two. Look out for movie posters featuring Bruce Lee striking a post. More recently, and perhaps on the back of its reputation as a destination for Chinese antiques, Hollywood Road has also become the place to buy contemporary Chinese art. Riding a wave of international popularity, art galleries along the road carry works from some of China’s most well-known artists. There are few bargains anymore, but you will find more ​Chinese contemporary art concentrated in the galleries along Hollywood Road than anywhere else in the world. 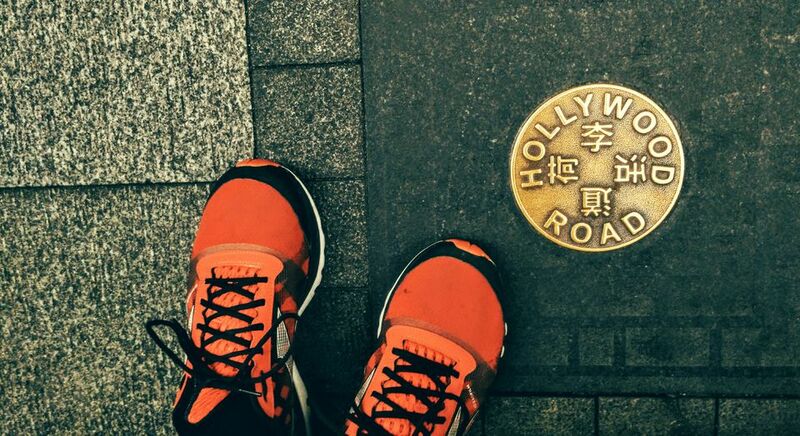 Apart from antiques and art, Hollywood Road also has some tourist sites that are well worth a stop. Man Mo Temple is one of the oldest and busiest temples in the city. Dedicated to the God of War and the God of Literature, it’s often busy with students delivering offerings to the deities inside or policemen lighting curling incense coils. Colorful and noisy, everyone is welcome inside this atmospheric temple best seen when one of Hong Kong’s energetic traditional Chinese festivals is underway. At the far end of Hollywood Road is one of Hong Kong’s finest colonial buildings, the former Central Police Station. Originally built in 1864 and subsequently enlarged, it was once the headquarters of the colonial police force and its grand colonnades and Doric columns bear all the hallmarks of grandiose Victorian design. No longer in use by the police, the future of the building has been under heated debate. With plans to knock it down stymied by public opinion, it is now set to become one of Hong Kong’s notorious ‘heritage’ projects, which is usually a byword for the exterior being preserved but the interior being renovated and modernized. Expect shops and a few plaques explaining the building's history.